Formerly known as “Slender: Source” and then “The Operator”, the multiplayer horror mod now known as Faceless had amassed a loyal following of people eager for some co-op terror. I’m one of them, and was saddened to hear back in April of this year that Faceless was being postponed indefinitely. Cautious news of a partial reboot surfaced in July although even that news update warned people against getting their hopes up too much. Since then the team behind the newly revitalised Faceless have been quietly working away, taking the original pitch of “Slender with Friends” and adding several new game modes. As someone who was eagerly following this project and saddened to hear it might go on permanent hiatus, I seized the opportunity to speak to new Project Lead and Creative Director Adam Sklar with some pertinent questions. Bitscreed: Can tell us a little bit about how you came to assume the role Project Lead and Creative Director for Faceless? Adam Sklar: After the project starter, Justin Ross, left the project, we decided (the original team) to go with a non-leadership sort of development in which everybody contributes to the development and brings up their own suggestions and allows us to all work together more effectively. However that was because it was with a group who had known each other for quite some time. Once that team disbanded, ultimately causing the postponement of the project (Of which I do not blame any of the original team for leaving at all, development became really stressful and the outcome looked bleak), I tried my best to revive the project as much as I could by rethinking and expanding the backstory and finding a new team and such.Eventually I just assumed the role as the Project Lead. It was never my intention, however it is working well. As for the Creative Director position, I used to be the promotional designer, responsible for all the trailers, posters and branding. Whilst I will still be doing this, the Creative Director position allows me to fully guide the new team to get things made as closely as possible with the backstory and ideas I have crafted, resulting in how the new Being looks, how the maps will look, the setting, and so on. B: A lot of fans were worried about the rumours of the project possibly being cancelled or going on an indefinite hiatus. How is development coming along now that the project back on-track? AS: The project is still hanging on a thread but we’re confident that thread is getting tighter and tighter and rebuilding itself weekly. The original development ended quite unfortunately and when I had returned to have it pick up roughly from where it left off, we encountered problems with SDK updates and the Steampipe updates and whatnot. Originally yes, the project was under an indefinite postponement but that is no longer the case, however it is progressing slowly but steadily. B: In earlier versions of Slender it was mentioned the Survivors would share a single flashlight and have to scavenge for batteries. Is this still part of Faceless’ core gameplay or has it been changed? 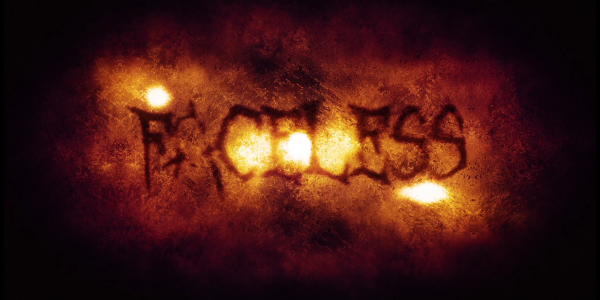 AS: Faceless’ core gameplay has been changed quite a bit but it still has two core assets we have always promised. The Dolls game mode will allow players to start separate from each other in which they have to find dolls (which are spawned in random locations on every playthrough) and take them to the ritual zone, the amount of dolls will depend on the amount of players (1-4). There are also 3 other game modes in the Base game, Versus, by public demand, Run and Hysterical Blindness. These are all explained on the game mode section of our website. B: One of your new game modes, “Run”, sounds similar to Left 4 Dead, with Survivors proceeding through a series of maps to reach a final escape point. Left 4 Dead however has hordes of infected to deal with, whereas Faceless appears to have only a single tangible antagonist. Will there be other obstacles players have to overcome, such as environmental hazards or puzzles, to keep them from simply making a beeline to the map exit? A: Yes, Run is inspired by Left 4 Dead, the Survivors will have to navigate complex routes and natural hazards in an attempt to escape The Being, each campaign will consist of 3 maps, similar to that of Left 4 Dead, and will have safehouses in-between them and an escape on the final part. B: You mention in the game’s About page that Faceless will include support for custom map-making. How much freedom will map-makers have in crafting their own maps for people to scream and die horribly in? AS: Map makers will be able to craft their own maps entirely with our assets and we are currently looking more and more into how we can provide the community with the best way to make their own fully-working maps. I would say provided the necessities were included (Nodes, Ritual Spots, enough ceiling height for The Being, etc), there is complete freedom. B: A problem with horror in general is that the more familiar with it you become the less-scary it is. While The Being in Faceless will always be an unpredictable threat, is there any randomisation planned for the maps to keep things fresher and less-predictable on subsequent playthroughs? AS: Yes, as I mentioned earlier, the dolls will spawn in random positions on every single gameplay, each single doll will pick a random spot allocated by the mapper allowing for an almost new experience every time, we also plan to hopefully release an annual community map pack on the workshop so that people can experience more maps as well, depending on how well development goes, we do have some ideas for post-release content. B: In Versus mode you state that up to four players can join a game and one will be selected to play as The Being. Does this mean there’ll only ever be three people on the survivor’s team in Versus, or are there any plans to open it up to five players? AS: At the current time for the Versus game mode, it is up to four players and one will be allocated as The Being, but to keep it consistent with the Dolls game mode, we may very well open it up to five players. B: The description for Versus mode talks about being able to “teleport to nodes behind the closest player” and “being able to move after the survivors have collected 75% of the dolls in a map.” What does playing as The Being in Versus entail, and how does it differ from playing as a survivor in terms of interface and controls? AS: The description needs to be updated very soon as that was an early concept of how the Versus game mode would work, in fact it is going to work much differently from that (think “Stop It Slender” game mode on Garry’s Mod). We felt that stopping players from moving and not having freedom over where to go or who to follow wouldn’t be very fun. B: Related to my previous question, will the person playing as The Being have greater awareness of what’s going on in the map than the survivors, such as “night-vision”, ability to see player auras, and so forth? AS: As of right now we only have conceptual ideas on how The Being will see what’s going on. Unfortunately I’d be lying if I were to say what those greater awarenesses would be and can only update on that when we come to do so, and if we can bring our ideas to fruition. B: The third new game mode, “Hysterical Blindness”, cites “Trouble In Terrorist Town” from Garry’s Mod as an inspiration and will support more than four players. How many maximum players will it support, or will that be something individual server admins can play around with? AS: That will be purely down to what the individual server admins choose for it to be, initially we had a fixed number but now we see no reason why server admins can’t choose that number for themselves. Each person in the Hysterical Blindness game mode will look the same as each other, an almost ghostly humanoid figure, so it’s rather impossible to tell who The Being is (which can also be multiple decoys, not just one), and to track who The Being is after somebody has been killed if they run into a group of people. B: When can we expect Faceless to be released? AS: As of right now we cannot determine when Faceless will be released, and we’d rather not promise a date like the previous project leader had done, unfortunately and unintentionally letting a few people down. B: And finally, a question I always like to ask is what are your thoughts on the current crop of triple-A horror titles compared to the kind of horror experiences coming out of the mod and indie scenes? AS: I quite honestly feel the Indie horror games are much more terrifying than AAA horrors, we have seen that graphics is not a priority in horror games, in fact a lack of them seems to intensify the horror. Graphics definitely contribute to the atmospherics and the story also. Having said that, AAA horrors can also be fantastically horrifying as long as they are not clones (which can work sometimes). 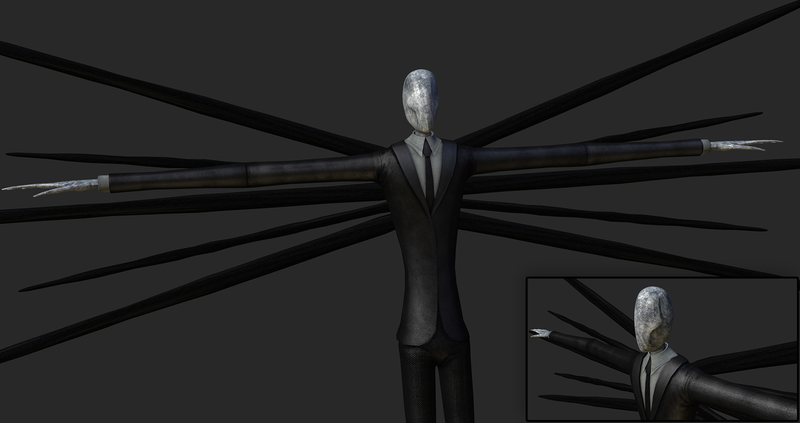 I know somebody would say “Hey, but Faceless is a clone of Slender” and I’m looking forward to the day we get to show you that it is in fact not a clone. You can keep up with all the latest developments on Faceless at the game’s ModDB page or via its official website.